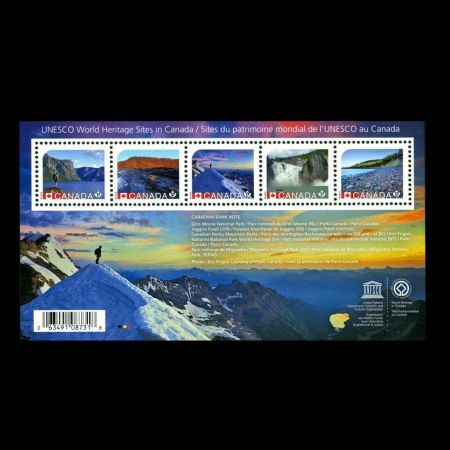 Canada 2014 "UNESCO World Heritage Sites"
These stamps are Permanent, so they’re always worth the going domestic rate. 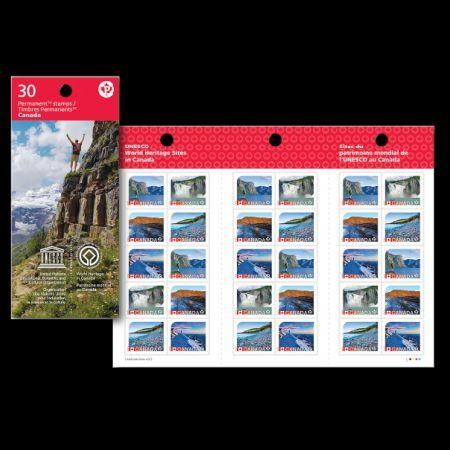 Each has a value of $0.85, the current rate for standard domestic mail. On March 31 Canada Post launched a UNESCO World Heritage sites in Canada series. 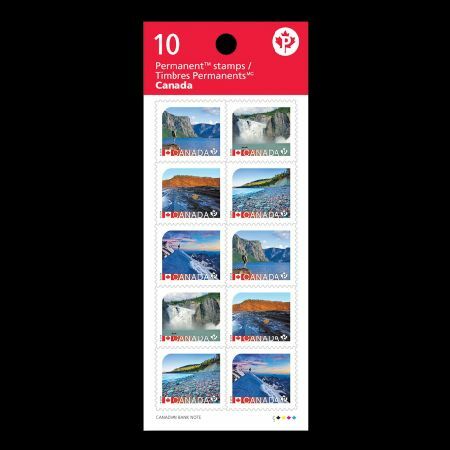 Canada has 17 UNESCO World Heritage, five of which are included in this first set, all in “Permanent” domestic rate (85¢) format. 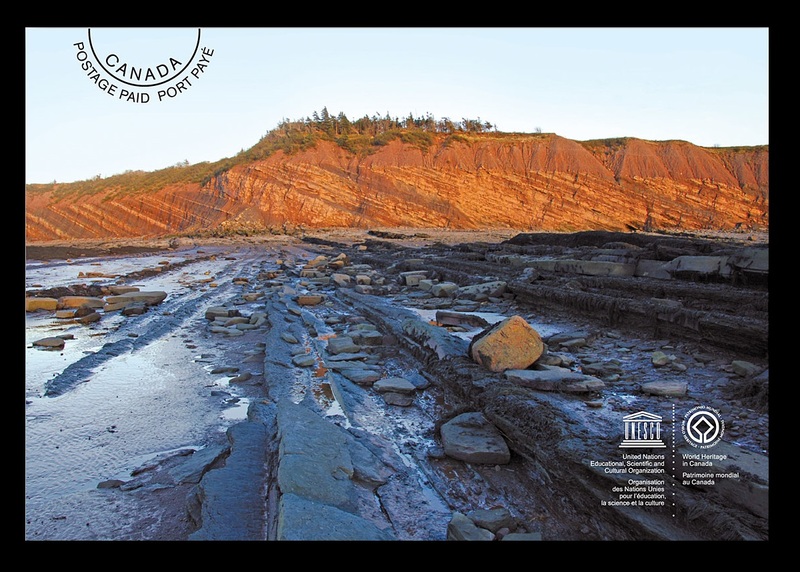 "They’re wild, rugged, breathtakingly beautiful and a fascinating portal to the past – and not just because Canadians think so. 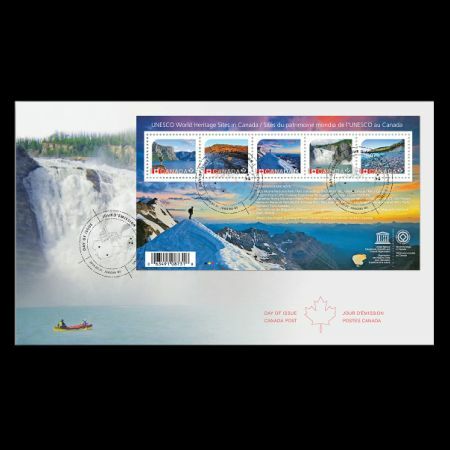 These treasures of Canada have become UNESCO World Heritage sites and are celebrated in this multi-year stamp series, which will include both definitive and commemorative stamps. 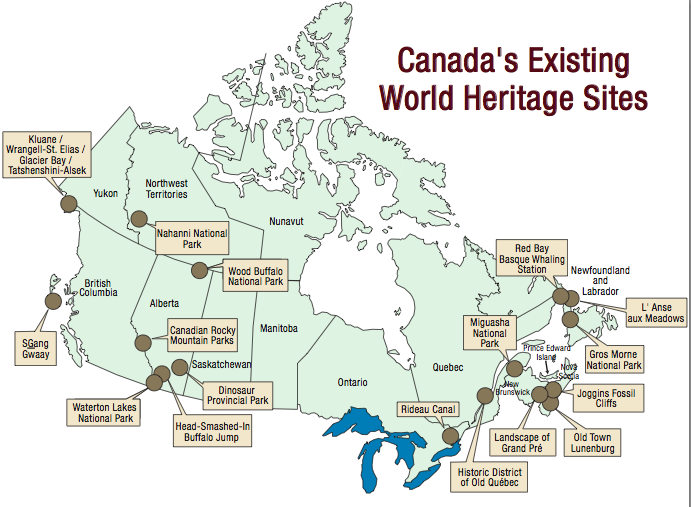 Canada’s 17 World Heritage sites are deemed so valuable for their natural riches and cultural significance that they are recognized internationally. We introduce the series with five domestic stamps. 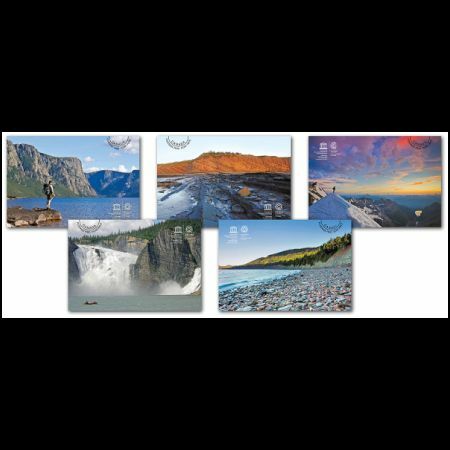 Travel the rapids and whirlpools of the South Nahanni River in Nahanni National Park, scale the monumental peaks of the Canadian Rocky Mountains, and read the history of the Earth in the magma crust of Gros Morne National Park or in the fossil beds of Joggins Fossil Cliffs and Miguasha National Park. During the gold rush in what was to become Nahanni National Park World Heritage Site (Northwest Territories), prospectors failed to find their fortune, but discovered an incredibly varied landscape. Virginia Falls and the twists of Hell’s Gate were sculptered by the last ice age. The pristine ridges and cliffs, bogs and tundra, ocean inlets and lakes of Gros Morne National Park (Newfoundland and Labrador) might be stunning, but this site’s World Heritage status was granted due to what’s hidden underground – a perfect example of plate tectonics, proof the Earth’s continents have joined and separated repeatedly over the eons. Once-liquid magma that filled the gap between plates of Earth’s crust remains clearly visible in the cliffs of Gros Morne’s Western Brook Pond. 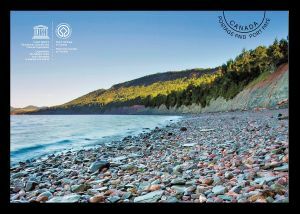 (Quebec) on the Gaspé Peninsula was once a tropical estuary. The fossil beds of the Escuminac Formation, exposed in a seaside cliff provide a rare portrait of Devonian life – including 21 species of fish fossils that have made Miguasha famous. Nearly 200 fossil species found in the Joggins Fossil Cliffs reveal the world’s most complete record of terrestrial life from the Pennsylvanian Period (the Coal Age), over 300 million years ago. Here we find fossilized reptiles and amniotes, the first vertebrates to reproduce on land, marking one of the most significant events in the evolution of life on Earth.